Ball tampering is performed very regularly at all levels of the game to seek an advantage over the batting side. Tail-enders in fourth grade local teams have to contend with it. Steve himself probably faces a ball that has been tampered with every third innings he has in the international arena. The act is against the laws of the game, but it has been relatively hard to detect. The benefits of attempting it outweigh the costs of getting caught. Calling Smith or any other tamperer a ‘cheat’ isn’t an effective deterrent against further misdemeanours of this nature. This is likely due to the variable effect that naming and shaming has in the context of individual sportsmen. Just observe how former players caught up in ball tampering scandals such as Sachin Tendulkar, Shahid Afridi and Mike Atherton are viewed in their respective countries and the cricketing world. So then one might be inclined to ask ‘why the sanctions aren’t increased?’ There are two reasons for this. First and foremost, the wrongdoing itself isn’t guaranteed to change the outcome of the game. Getting the ball to reverse swing also depends on the weather conditions, the bowler’s speed, skill level, and shape of the ball. And secondly, technological improvements have increased the probability of detection – meaning that players who go about the act in a subtler manner than Smith, like Faf Du Plessis, are now more likely to be caught. In other sports, devious tactics are employed just as regularly but have a far greater influence on the outcome of the game. Consider time wasting in the dying stages of NRL games. If a team is leading by a small margin, players will invariably feign injuries and roughly take five times as long to get to their feet. In another example, soccer players take dives in order to win penalty kicks for their team, often resulting in goals. These underhand tactics are even less likely to be detected than those who engage in ball tampering because, for some strange reason, FIFA doesn’t like to utilise video technology. In the NRL, time-wasting can lead to receiving one less attacking set from which they could potentially overturn a deficit up to six points and change a loss into a win. In soccer matches, one dive can determine the outcome of an entire game through a resulting red card or goal. When was the last time you saw a player guilty of these dishonest behaviours from either sport lambasted in the media to the extent that Smith was yesterday? 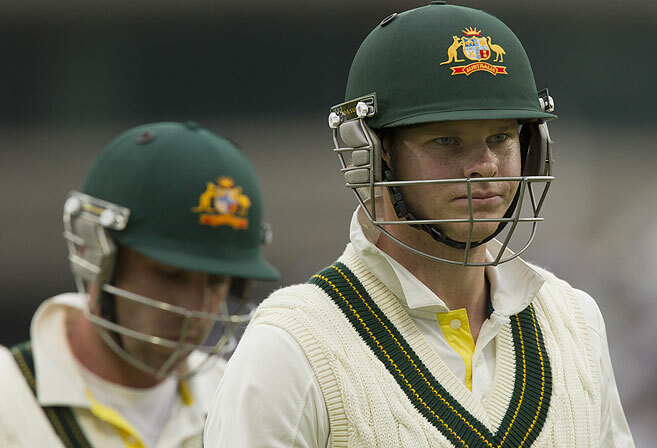 Smith committed a crime and received a sanction from the ICC in proportion to his offence. It sees his misdeed to be worthy of a one-match suspension, all factors considered. In stating that, proportionality needs to be understood when projecting one’s views of the person in question. 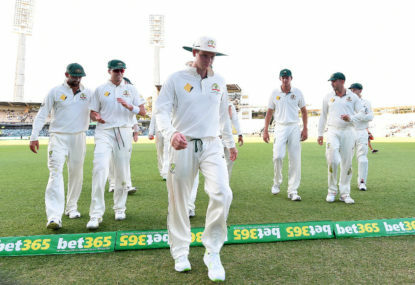 Before labelling Smith and the Australian cricket team a ‘national disgrace’, please be aware of the comparison between their misconduct and the dishonest behaviour displayed by other sportsmen seeking advantages through slightly devious matters. Before jumping on the naysayer’s bandwagon and supporting his ousting, please understand the hypocrisy of some of the comments made by public figures. Has Michael Vaughan forgotten that Trescothick was applying that magic lozenge to the ball in 2005? Was Malcolm Turnbull really unaware of Barnaby Joyce’s malpractice? And before attacking Smith’s integrity, please compare his response to the accusations of dishonesty to those given by other national captains in similar circumstances. Michael Atherton offered a pathetic excuse for his ball-tampering episode in 1994. Shane Warne blamed his mother when he was accused and convicted of taking a banned diuretic in 2003. In contrast, Smith immediately confessed his crime – though he probably could have successfully denied his involvement without exacerbating Bancroft’s punishment. Do we consider Warne and Ponting ‘cheats’ or ‘national disgraces’? What about Ian Healy? Ever see that footage of his stumping of Brian Lara in the first Test of the 1992/1993 series with the ball clearly out of his gloves? Smith made an error of relatively minor proportions and he is being punished accordingly. Up until this point, he has conducted himself with the utmost decorum. The vast majority of people won’t get close to experiencing the level of pressure that he is under. Don’t let a couple of keyboard warriors or rancorous ex-cricketers change your view of a man who is of complete integrity.